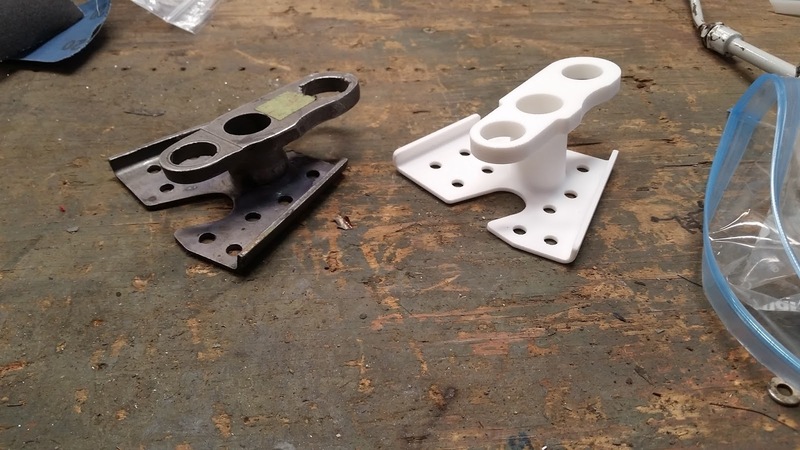 Just a tick over a year ago, I tried an experiment to build a 3D model of the aileron horn Spanish BF-109. Then I printed it in 3D to prove the concept. The model of the horn. And the concept was proven. But in that experiment, I found that there was another challenge. I had to measure the part by hand. Naturally, that creates the opportunity for error. And of course, I made an error. I mis-measured one dimension, and the part was too tall. Now, at home, I primarily use Fusion 360, simply because it's what I have access to on my personal laptop. But that raised an interesting scenario to me. What if you don't have access to the technology that created the software, but still need to make modifications to increase the manufacturability of the product, or perhaps there's feed back that needs to get back to the designers. Well, here I found myself, wanting to make a few modifications to the aileron horn, but my Inventor installation is 20 miles away on my work computer. 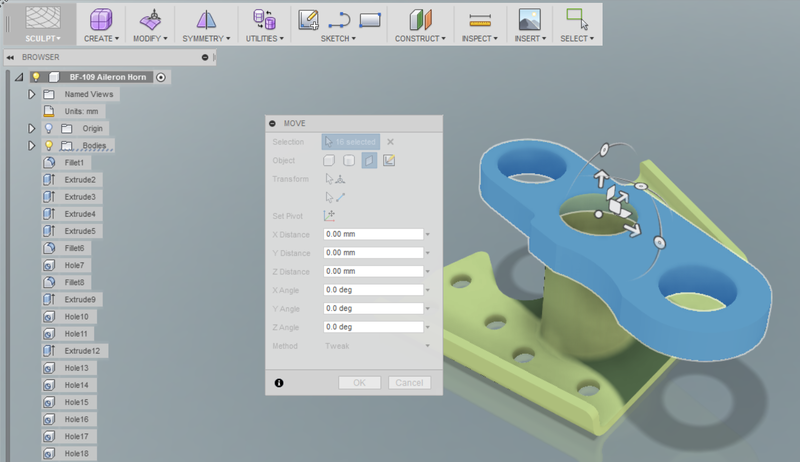 It's time to see what Fusion 360 will do for me. 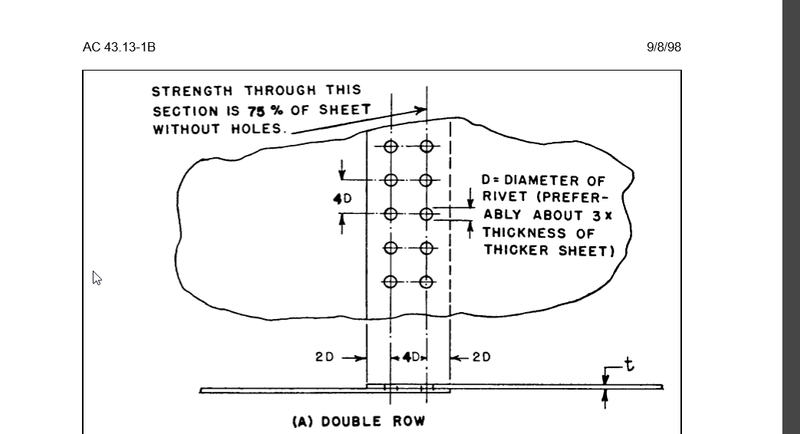 I can modify the solid, and I don't need access to the feature tree to do it. I've brought the model into Fusion 360, but let's look at the mis-measured dimension I mentioned earlier. I'm going to shorten the top flange, and rotate it a few degrees for good measure. Let's start by right clicking and choosing the Move command. Now comes the selection part. For this operation, I'm going to choose the faces option. 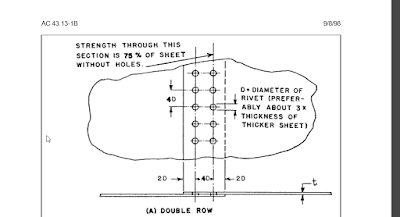 I'll also choose my center of rotation as the tube supporting the flange. 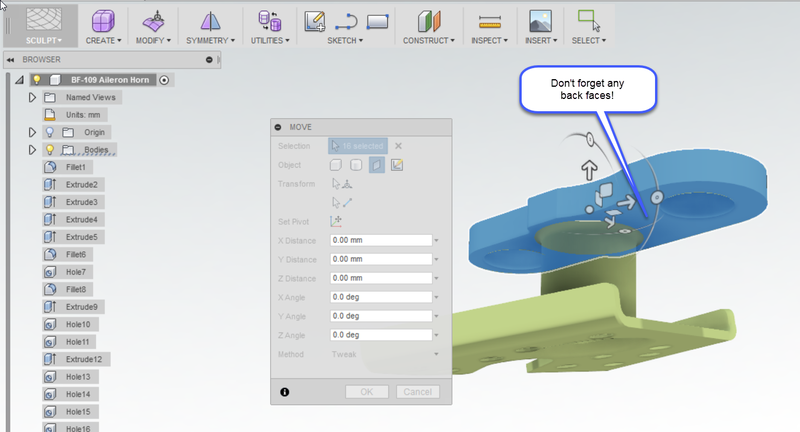 Notice that you can also translate or rotate the triad, or snap it to existing geometry. Now comes the selection of geometry to rotate. That translates into selecting the faces you want to rotate. I'll choose the holes, and all the faces I wan to rotate. Choosing the faces to rotate. And don't forget any back faces too! Missing one can fail the operation! Don't forget any back faces! Now comes the time to rotate and translate the part. 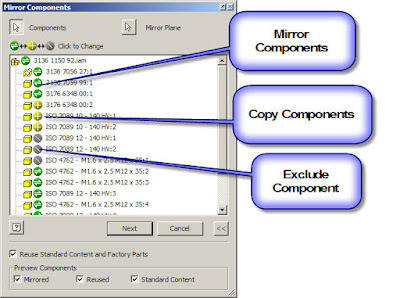 This can be done by selecting the appropriate translation arrow, or rotation radius for the operation, and dragging or typing in a value. 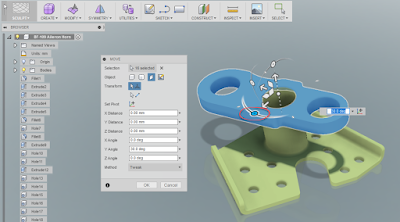 Now by dragging the grips, or typing a value, the flange position can be changed to exactly what is needed. The part after accepting the change. 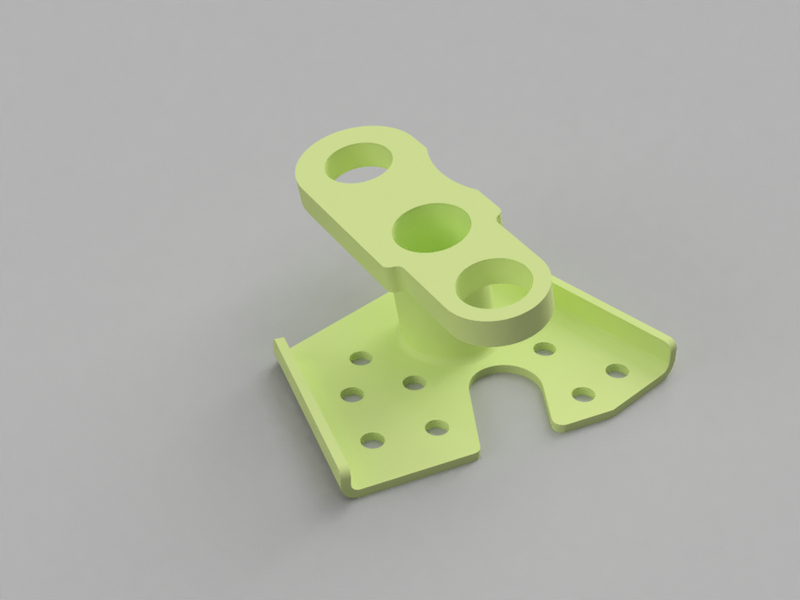 So here's how Fusion 360 helped me out. 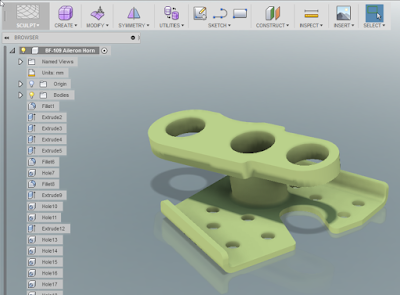 I was able to make the modifications I wanted when I didn't have access to the authoring program, in this case Autodesk Inventor. The part before, and the part after. But the file could have just as easily been from one of several types. So there are certainly more options to explore! I can't believe it ! On this very day, in 2006, I created my first blog post for InventorTales. It was under a different name then, it was actually about 8 years ago, that InventorTales took form. The very first image posted to my blog. An Autodesk Fusion 360 rendering I created last night. This product wasn't even a dream when I created my first post. But still, I'm stunned. Has it really been that long? I was in better shape! 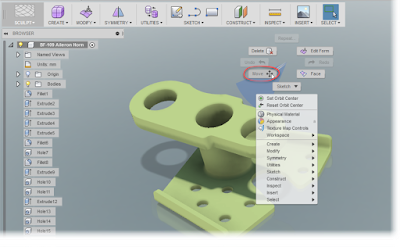 Fusion 360 wan't a glimmer on the horizon yet! It's been an amazing 10 years! The one thing I've learned is that things are always changing! Thanks for an amazing decade! I hope to keep things up for another ten years, even as times change! 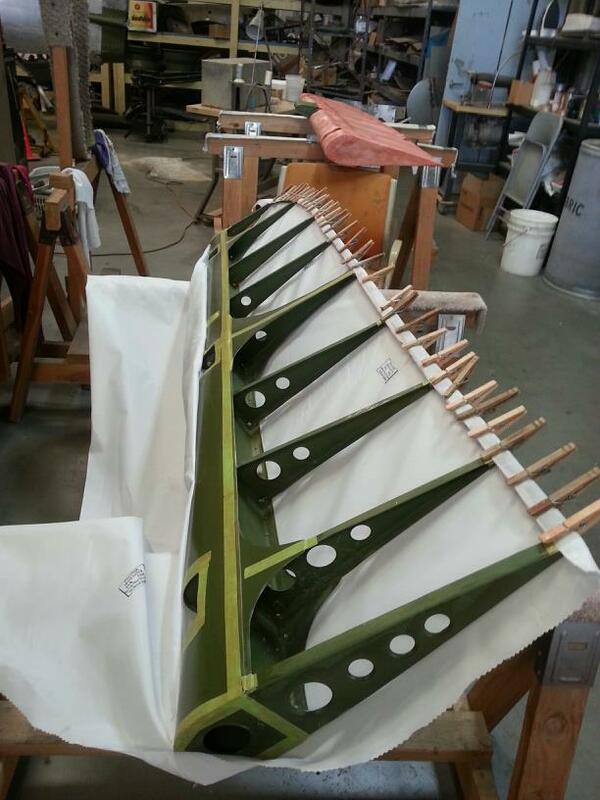 Lessons in Manufacturing from 75 Year Old Airplane. 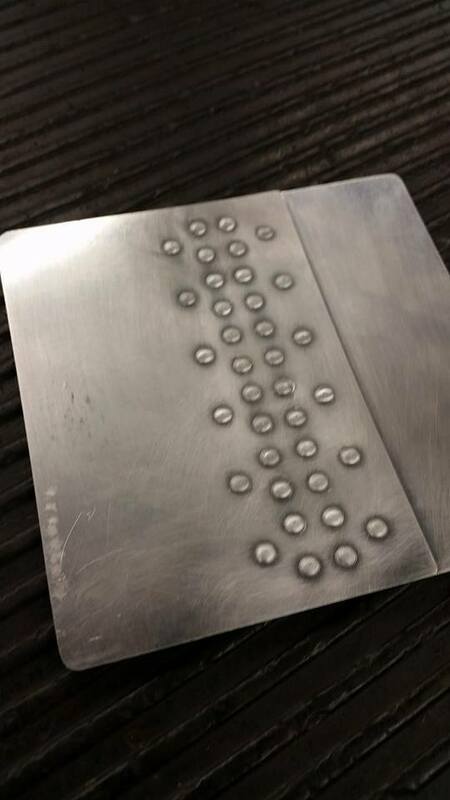 Have you ever looked at a manufacturing process and thought, "When was that process developed?" 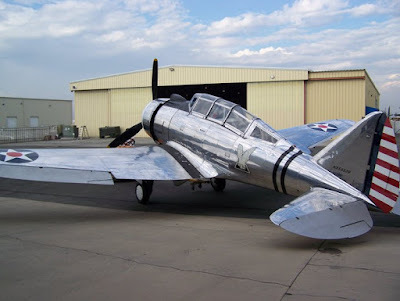 I had that moment looking at a set of ailerons for a Seversky AT-12 Guardsman at Planes of Fame Air Museum, where I volunteer on the weekends. Stripped of the fabric that normally, covers them, I had a rare opportunity to see the structure beneath. Typically Structures of the era would be made of wood, or riveted aluminum like the images below. 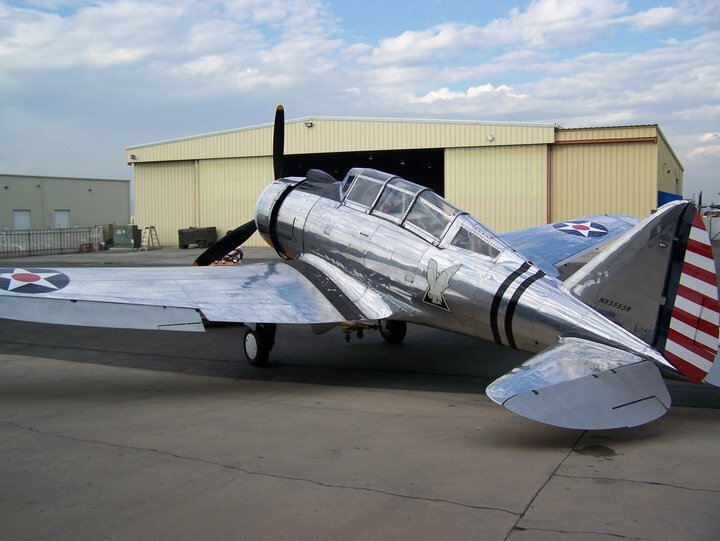 An example of riveted aluminum. 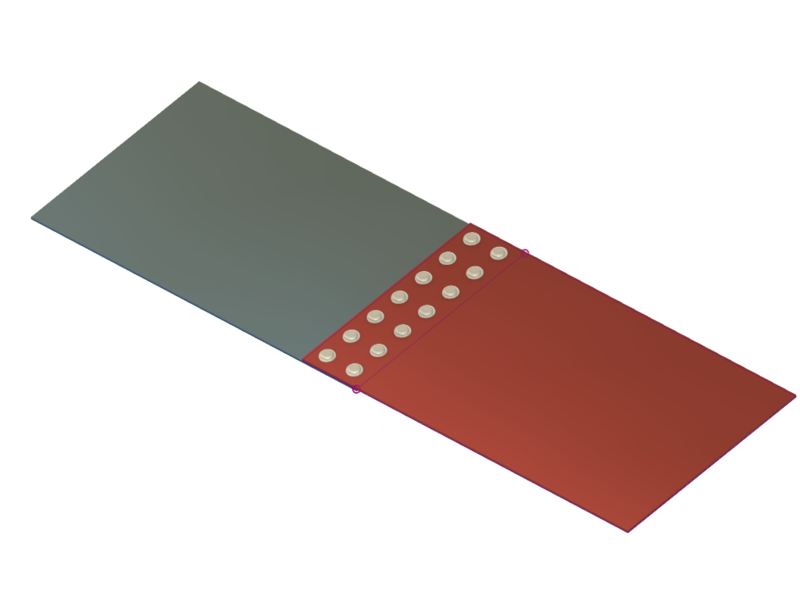 A typical aluminum control surface. This is in the process of being recovered in fabric. 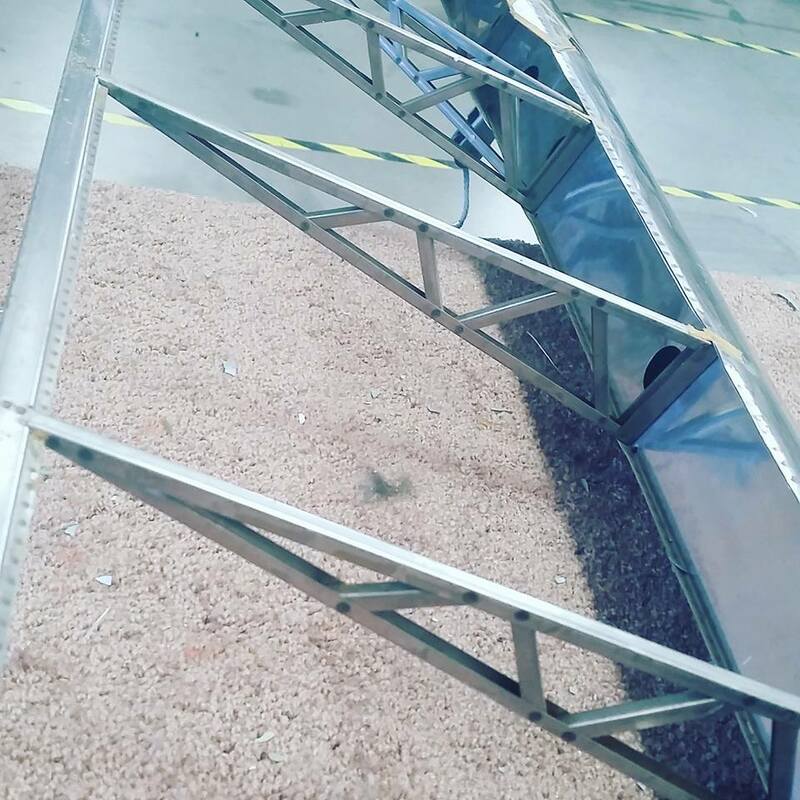 Instead, these structures were made of welded stainless steel that had been spot welded together. A close up of the stainless steel structure. 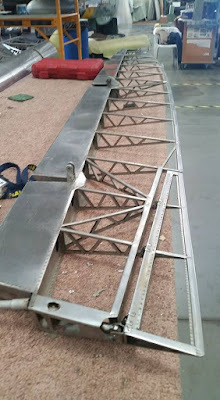 The spot welds are the dark spots on the ribs. And speaking of the era, the ailerons still bore their manufacturer's data plates. 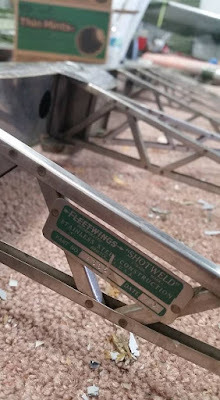 Built by Fleetwings, in 1940. My curiosity piqued, I looked up the company on the internet. I found that Fleetwings started in the mid 1920s, and pioneered the use of stainless steel in aircraft structures. It seems that this set of ailerons represents a small milestone in manufacturing of aircraft structures. The use of stainless steel. It's an interesting note in manufacturing history! All prompted by looking at a set of old ailerons. With so many tools that we have, we can be better, faster, and more efficient. But don't forget to use those tools to be come something else. Become more curious, and always keep learning! The Art of Development - Give Your Content a Chance to Mature! Today is a "5 minute" post. 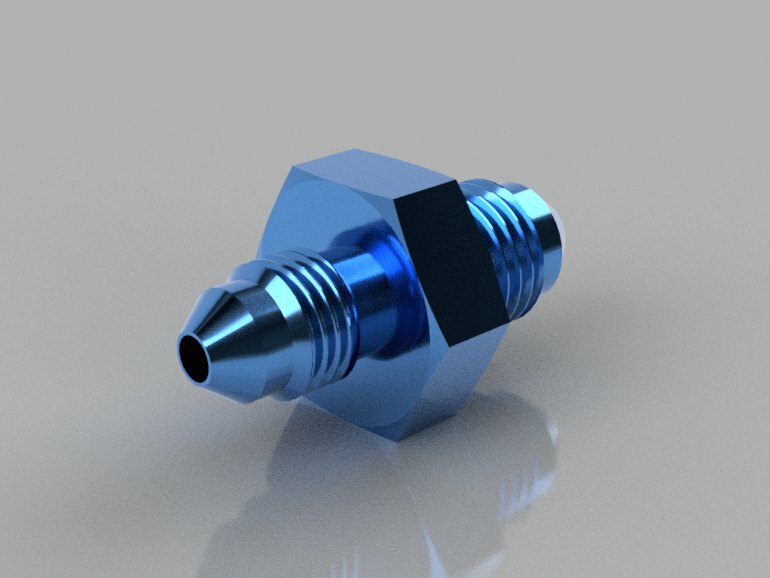 Just a little idea I had while working in Autodesk Inventor. In my current engagement, I've taken on creating custom content in Autodesk Inventor's Content Center. That means creating tables, upon tables of various hardware. Mostly NAS and NASM hardware. It's not difficult, but it takes time, and it takes patience. And that means there are times that I have to leave content incomplete, not ready to use, but it's still in the shared content database, exposed to the users. So that left me with a conundrum. How do I make sure the users don't accidentally use the content before it's ready to release? I thought of the traditional route, which is to put "Do not use" or something similar in the family description, but then I had an idea I liked a lot better. You can see the image I used in the screen capture below. Can you guess which one you shouldn't use? So enjoy the bit of humor I used to break up a long, tedious day. And perhaps think of how you can use that in your daily projects, for both practical purposes, and maybe a little bit of humor! Wrapping up an aircraft maintenance class is a bittersweet experience for me. On one hand, I miss sitting in a hangar full of airplanes, doing homework, while chatting with my classmates about.... airplanes. What gearhead wouldn't want a classroom like this? On the other hand.... I suddenly have my weeknights back to relax! So how did I spend one of my first evenings free? I took a fundamental lesson I learned in class, and integrated it into Autodesk Fusion 360. 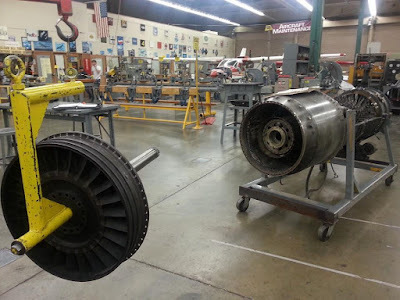 It starts with something my aircraft maintenance teachers, both my formal instructors and my colleagues with far more experience have continually reinforced. "Know your references to your information! Book, chapter, page, and paragraph!" Sometimes they would add, "And because your buddy said so does not count!" That meant looking through a lot of books, real paper books. If I was lucky, I had a PDF that I could scan through. But even that took time. 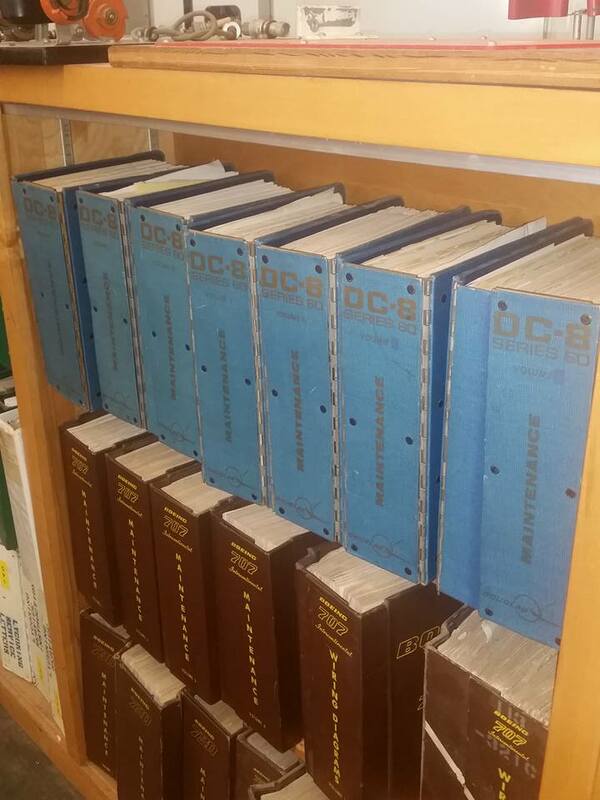 Manuals in Aircraft Maintenance are big, heavy, and required! 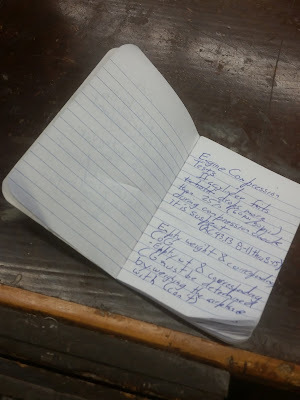 I quickly learned to write down key class info in a small composition book, naturally, I included the relevant book, chapter, page, and paragraph. But next came rivet spacing. It's the standard spacing found in the FAA Advisory Circular AC43.13. Sure, I can write it down in my composition, and naturally, I did! But I also decided that I would build it in Fusion 360, just for a little practice. But as I finished up my little practice exercise, My teachers words echoed in my mind. How can I make the most use of this. How can I make the information available. It's a link in the chain of information. Just like I was taught, it's part of knowing where to find the information. And it's not about knowing the information, it's about knowing where to find it! So here's another example of embedded information in Fusion 360. If you'd like to see the full steps, I wrote a post on that subject here. Take a look! And see if it can help you! .